Analyze works of art for the art elements and the design principles needed to create professional products. 2.1.1. Describe art elements of line, value, color, shape, space, form and texture in various media that are used individually or in combination. 2.1.2. 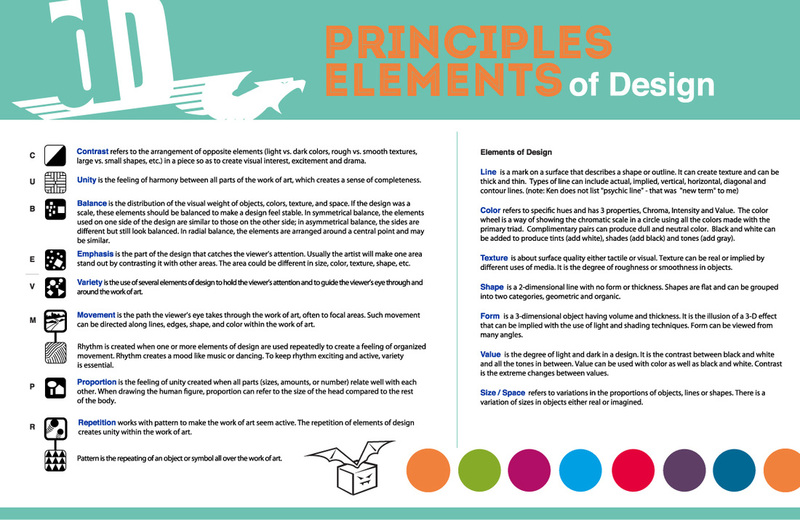 Identify specific characteristics (i.e., positive and negative, organic, geometric, quality, weight, direction) of art elements that communicate and express ideas. 2.1.5. Contrast formal/symmetrical, informal/asymmetrical and radial balance. 2.1.8. Identify visual hierarchy used to establish dominance.